Join us as we kick off an amazing event! We are proud to announce Celebrity Hairstylist Palma N’ Sheluvzit as she will be launching her new Digital Flat Iron “Luxe Sublime Edition ” on October 16th, at the Ludlow Studios. 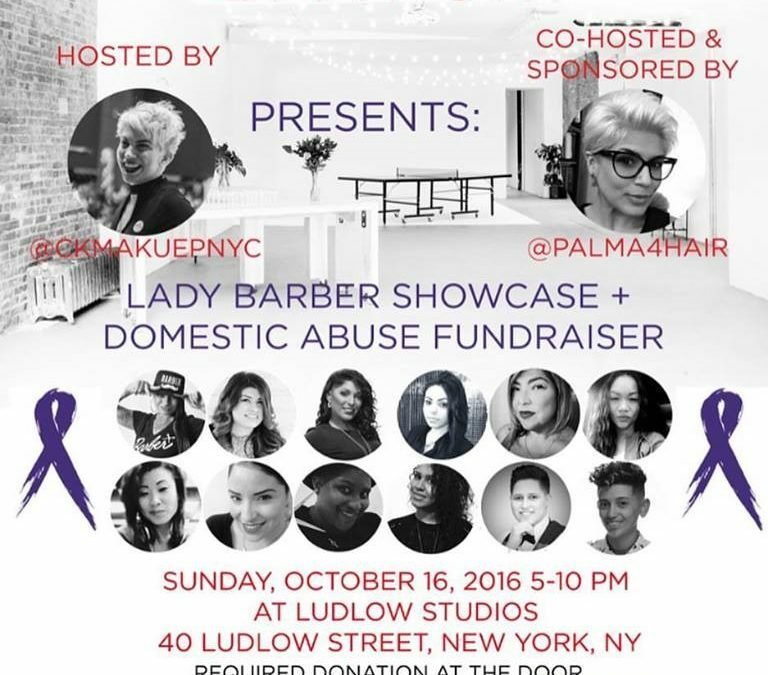 We will also be showcasing super talented lady barbers who will be cutting hair and all donations will go towards CUT IT OUT. CUT IT OUT is a domestic abuse program ran by the professional beauty association. Don’t worry, you do not have to cut your hair to attend. Simply make a small donation. Take this wonderful opportunity to meet and greet this elite group of professionals.